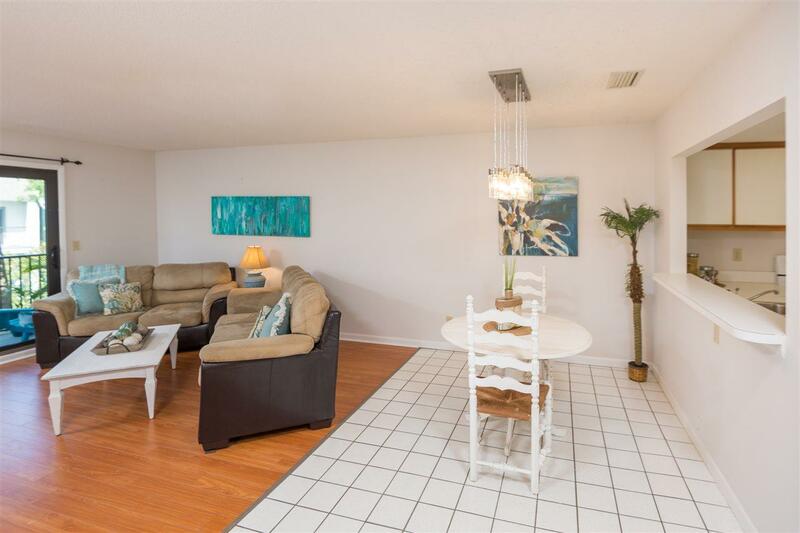 Seawinds is a tucked away beachside gem on Anastasia Island. Unit #73 is a 2nd story flat with attached GARAGE. 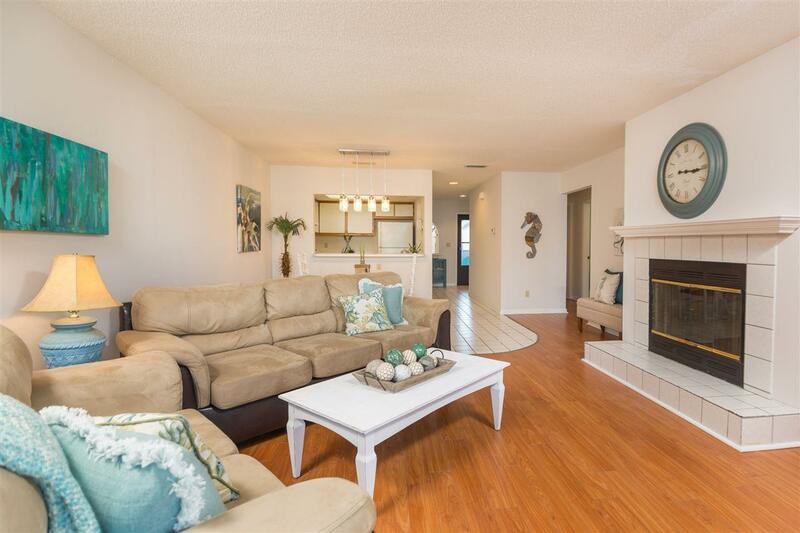 Tile and laminate floors lead the way to beckoning lagoon and fountain views. Both bedrooms are over-sized. 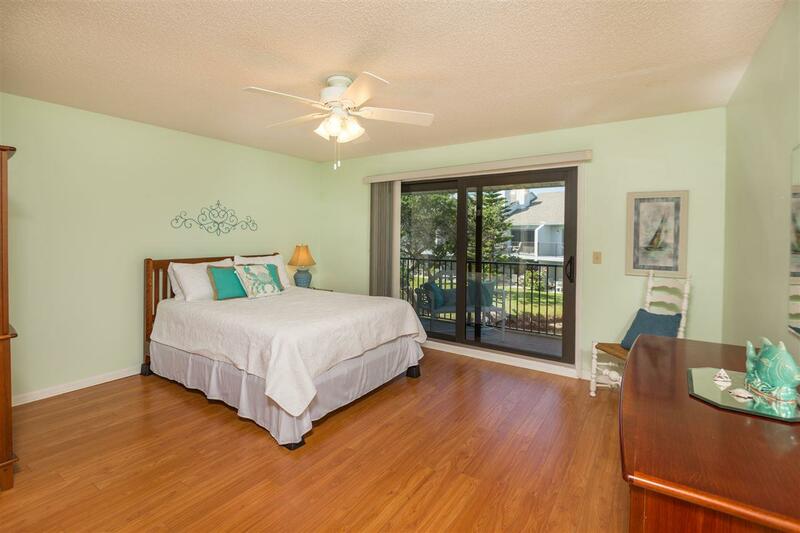 Rarely found in beach condos, is a significant amount of storage is between coat closet, large hall closet, walk-in closets in each bedroom, and large linen closet. Unit comes furnished. Condo has been re-plumbed, has a separate laundry room with washer/dryer and entry foyer. A choice of extended 30Ã¢â‚¬â„¢ balcony or private south side balcony enjoyment is determined by your mood. 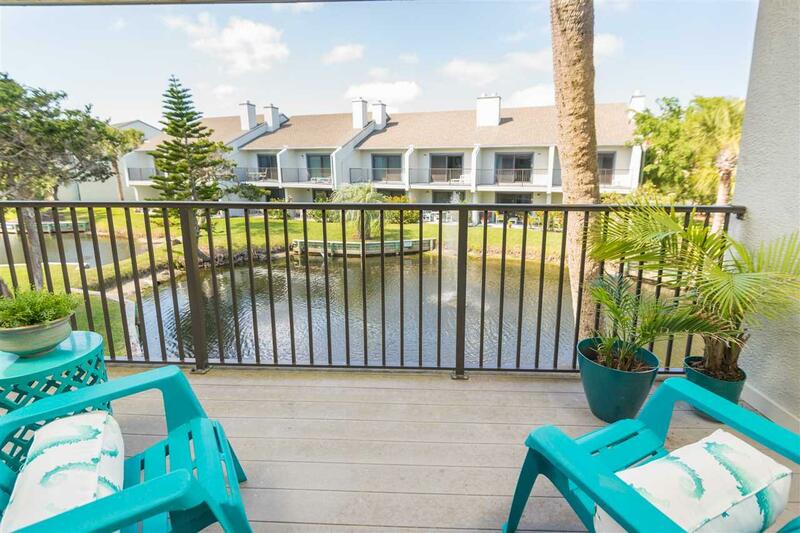 A quick walk past resort lagoons is the community pool/clubhouse, dune walkover or tennis courts. HOA management and rental office is available on-site. No damage from hurricanes.